Vehicle signs are a fantastic way of getting your message to the millions of motorists and passengers who travel by car every day. 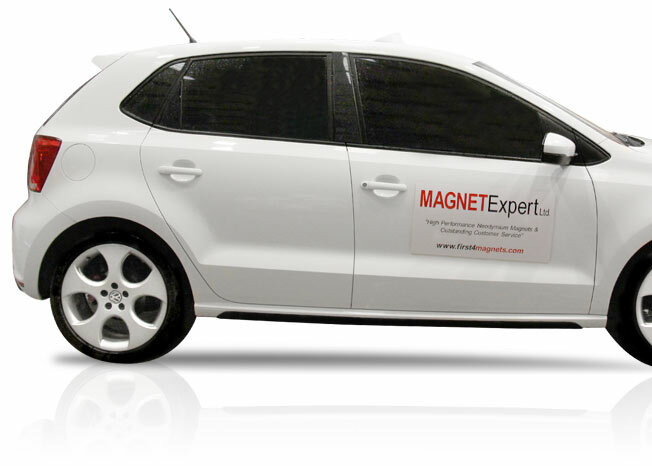 If you own a business you need to make sure your vehicles look their best and portray your company’s brand – magnetic vehicle signs are the most cost-effective, durable and flexible option. Studies show that vehicle signage is seen by more different types of people than any other form of advertising and with over 70 billion vehicle miles being driven on UK roads each quarter, it’s easy to see why! The flexible sheet is magnetic on one side and has a printable white gloss vinyl face on the other. The vinyl finish is ideal for a variety of direct and indirect printing methods and looks great on any vehicle. Each roll has a pull force of 40g per cm2 making it strong enough to stay attached to the side of a moving vehicle but also flexible enough to remove or swap at any time, without marking your vehicle. As seen in the photos, we used a custom size (295mm x 580mm) for our signs – at first4magnets.com we provide a 300mm x 5m roll which can then be cut to size. We loved the finished signs and they now take pride of place on our vehicles. 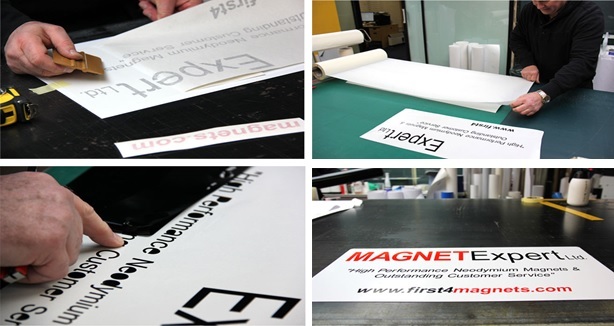 To create your own vehicle signs, start by selecting a roll of our flexible magnetic sheet, produce your design, then contact a printer near you to have your signs printed and start driving your brand today!